Are Retailers Ready for the Tsunami of Smartphones? 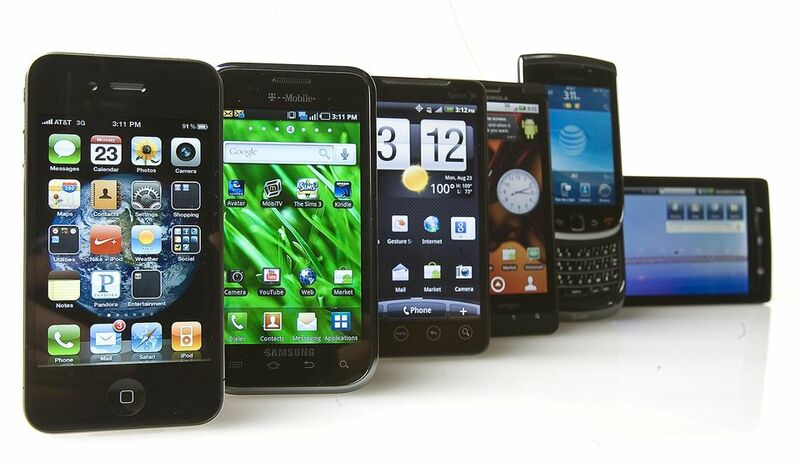 No consumer technology has ever experienced the incredible growth of today’s smartphone industry. Over 50% of the U.S. population owns smartphones and two thirds of those will use their devices while visiting retail stores. Customer behavior, the way consumers shop, is changing thanks to the immediate access to information that mobile devices afford. Retailers, for the most part, are viewing the growth of mobile devices with mixed feelings. Conventional thinking by retailers views customers armed with smartphones as tire kickers and showroom visitors who arrive at the brick and mortar store to see and feel a product before deciding to buy it online. Budgets created for developing mobile initiatives are usually assigned to the ecommerce department and are focused on driving traffic rather than encouraging in-store sales. However, a study by Deloitte challenges the notion that in-store sales are not affected by consumer smartphone use. The study by Deloitte contends that mobile devices will influence 5.1% of all in-store sales or roughly $159 billion in business. But the most interesting projection is that mobile is in a state of relative infancy and its influence on in-store sales over the next 4 years will increase to 17-21 percent or $628-$752 billion in store sales. That’s a number that is too big for retailers to ignore. Mobile plays a much bigger role with in-store sales depending on the type of establishment they are visiting. For example, consumers who visit electronics/appliances, department and big box stores both use their phones and are influenced to buy more frequently than they do at gas stations and convenience stores. But, regardless of the category, the projected increase in mobile influenced sales over the next four years is huge ranging from 33% for electronics to 11% for gas station/convenience stores. Deloitte attributes this to the continuing market penetration of the smartphone, increased adoption by shoppers, decreasing barriers to use and advances in retail applications. It’s happening now but are retailers ready? At the heart of a shopper’s mobile experience at a store is speed. Cell connectivity can be hit or miss. A robust retail WiFi system can vastly improve the experience. While it may seem counterintuitive to provide a shopper with the means to easily communicate with a competitor site, a proprietary wireless network is actually the best defense against just such behavior, particularly if the store has an application that keeps the shopper engaged with the store. But are retailers prepared to offer the type of service that consumers have become accustomed to at hotels, coffee shops, book stores and the dozens of other businesses that offer free WiFi? Many retailers already have wireless systems in their stores that were installed to increase productivity. Inventory tracking, POS and VOIP reduced man hours and better managed inventory, but these systems are older and are not compatible with the requirements or expectations of smartphone users. For starters, there’s capacity and coverage. The demand on bandwidth that the smartphone users cause requires a wireless network that can scale and balance. Dead spaces or dropped signals are brand busters. Compatibility with the variety of mobile devices is also an issue that didn’t exist when the network was used with only proprietary devices. And then there’s security, a hot issue with consumers and a potentially disastrous PR event should customers be hacked while using the store’s network. Retailers need to take a hard look at their wireless network and determine two things. What is the impact of mobile influenced in-store sales, and how can the improvement of the wireless network and applications enhance those numbers. Deep Blue Communications, an industry leader and “Top Dog Partner” with cutting edge wireless hardware provider Ruckus Wireless, has extensive experience in design, installation, monitoring and support of wireless networks for a large number of national brands including CarMax and Wyndham Hotels and Resorts. Retailers who want a no obligation assessment of their existing network can contact Deep Blue Communications at 866-943-4333 or by simply visiting sending a request for information.